However, recycling is not something that should only be done in the confines of your own home. 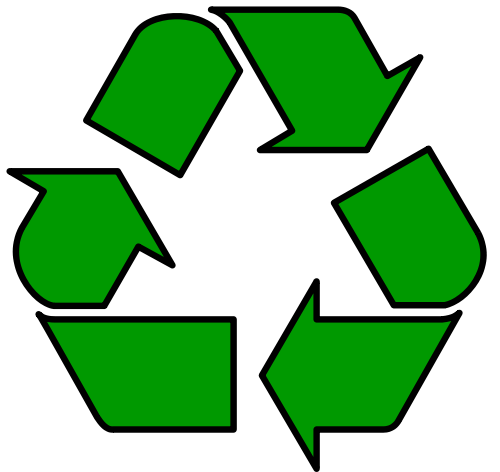 Many businesses all across America are also beginning to take the necessary steps to become more eco-friendly through recycling. There are a number of different benefits that come from being an environmentally friendly business and maintaining a green view towards your industrial production and waste management strategies. Not only does it significantly reduce your impact on the environment by reducing greenhouse gas emissions and other air and water pollutants, but it also can help to introduce better relations with your customers. Think about it―a consumer is much more likely to spend their money with a company who values their impact on the environment and takes the time recycle their products than they are with someone who abuses the earth’s natural resources. Customers enjoy supporting businesses who have a positive influence on the world around them. It’s as simple as that! Plus, with all of the different disposable materials that businesses use on a daily basis, there is no shortage of areas in which your company can go green. Ink and toner cartridges, for instance, are a serious problem in landfills. In fact, over one million used cartridges are thrown away each and every year. That adds up to a lot of waste when you factor in those made from virgin materials. Luckily, Ink Technologies is making it easier than ever to recycle your toner cartridges and reduce your carbon footprint in the office. As a responsible member of the corporate community, we have always taken our own company’s green responsibilities seriously and encourage our customers to do the same. With our easy to use recycling program, we can help businesses all across the country reduce the burden that toner cartridges put on the environment. To utilize this program, we ask our customers to save up eight empty cartridges at a time and then fill our simple web form. We will then send them a shipping return tag in the mail that can be used to return the products to our recycling center―it’s as easy as that! With this simple way to reduce resource wastage, we hope that our customers will begin to take advantage of the many different opportunities to do their part for the environment. Other than recycling your toner cartridges and using ink refills, is there anything else that your company does to cut down on your carbon footprint and become more eco-friendly? Be sure to share your efforts in the comments below!